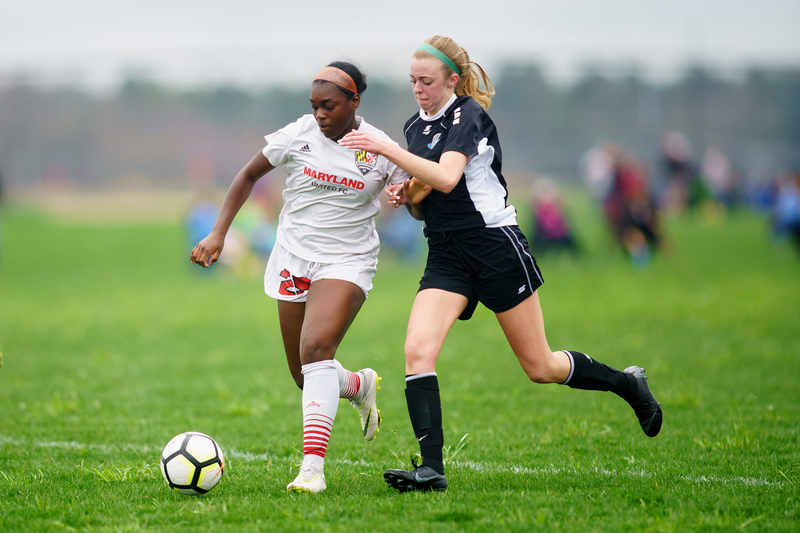 EAST BRUNSWICK, NJ – On Saturday and Sunday, April 13-14, the National League EDP Conferences Spring Showcase for girls’ 15U-19U teams took place at the Tuckahoe Turf Farms in Hammonton, NJ. 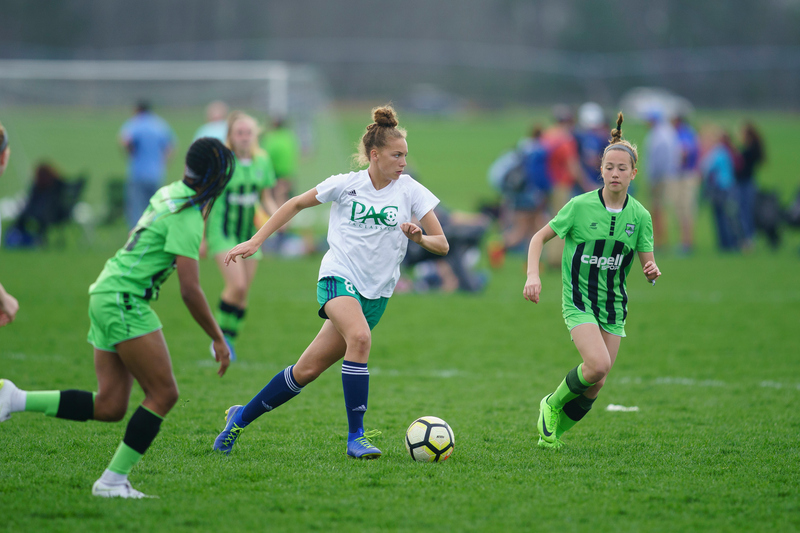 Featuring more than 220 teams from across three National League Conferences managed by EDP (North Atlantic, Mid Atlantic, South Atlantic), the event attracted over 130 registered college coaches, making this showcase a top recruiting event for both players and coaches. 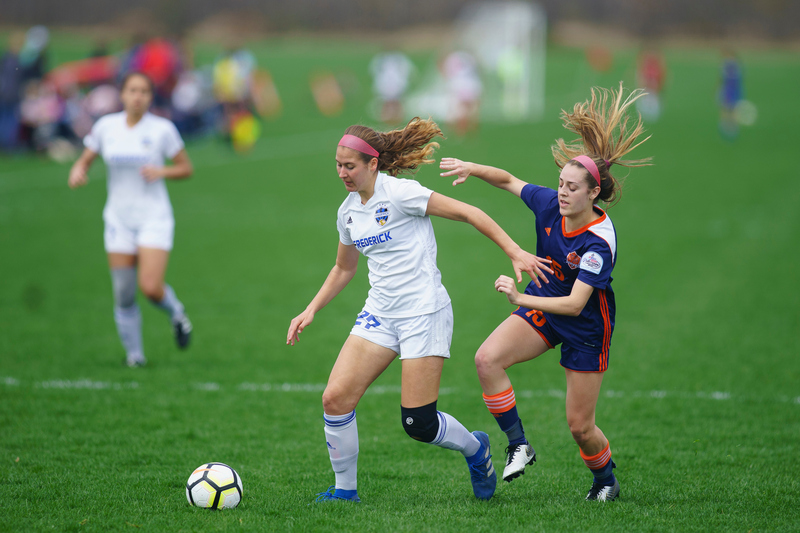 “The facility's layout is perfect, so a lot of college coaches were able to come and had no trouble getting to a different field to watch you. 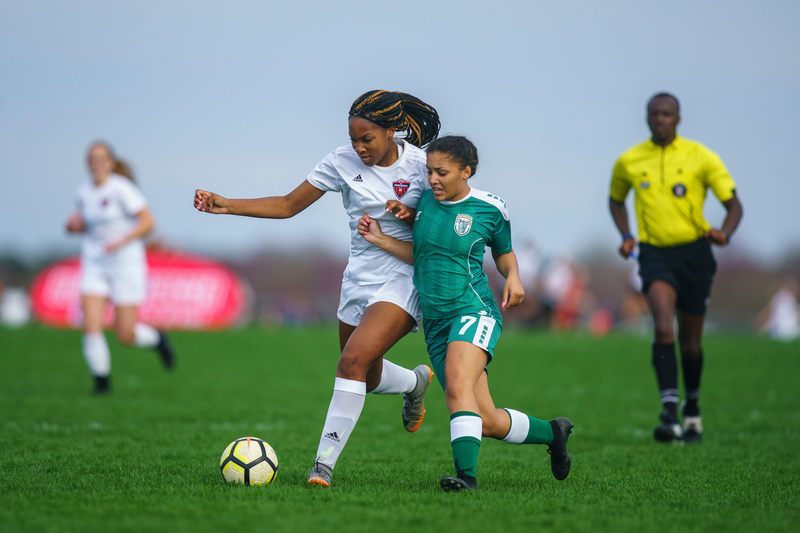 It was really nice in that sense,” added Riley Cantando, a member of Penn Fusion SA Preacademy 2002 (PA-E) and current high school junior. 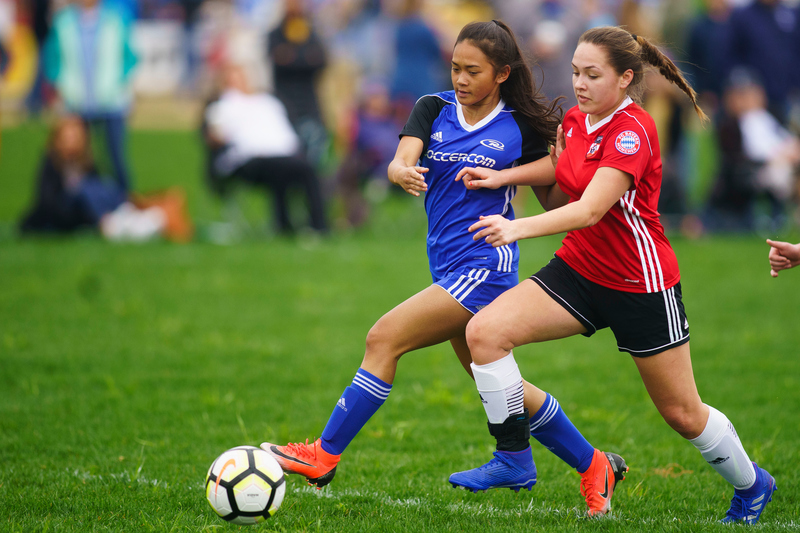 This showcase was also a chance for the teams to face different opponents from outside their own league/region. 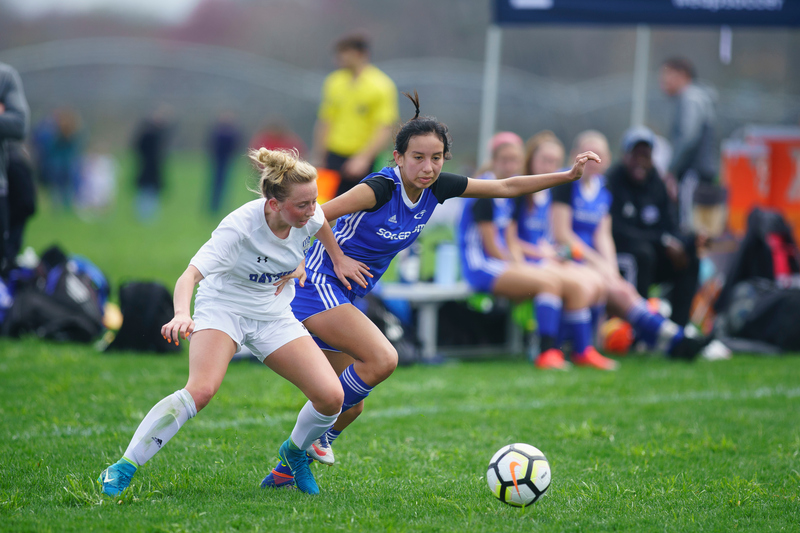 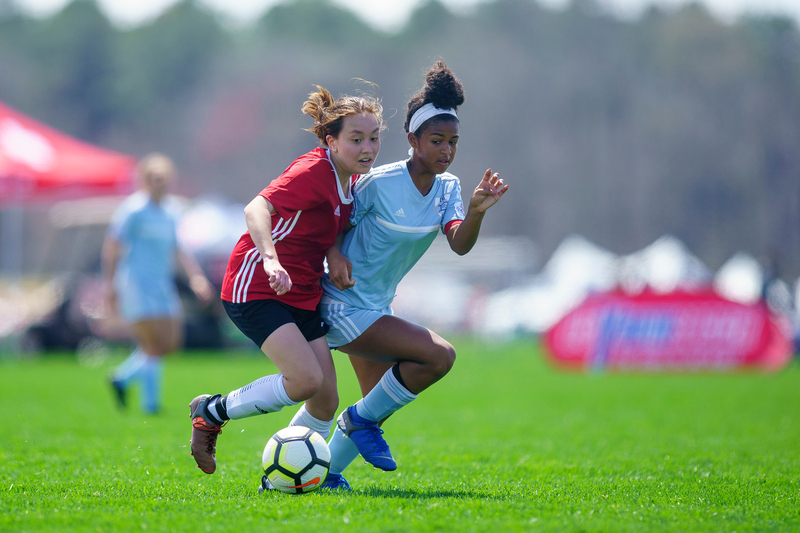 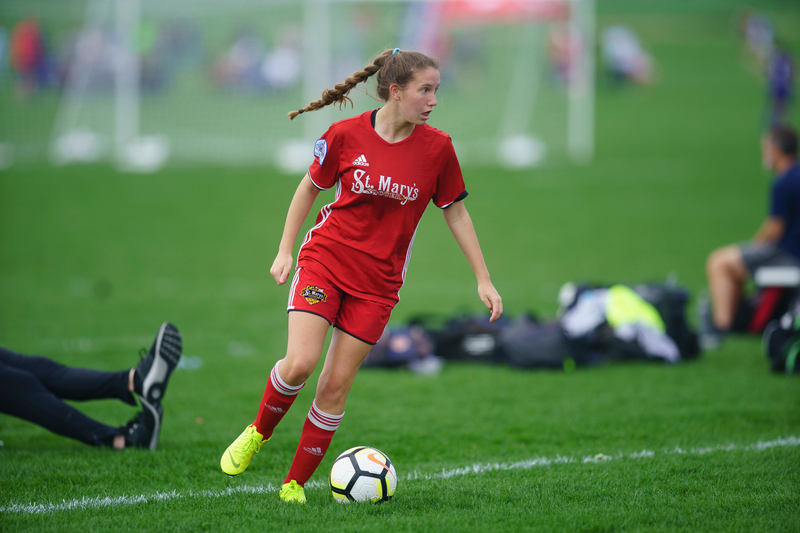 “We knew it had the quality,” Maryland Rush Montgomery Blue 02 Dragons (MD) Assistant Coach Pat Farrell said. 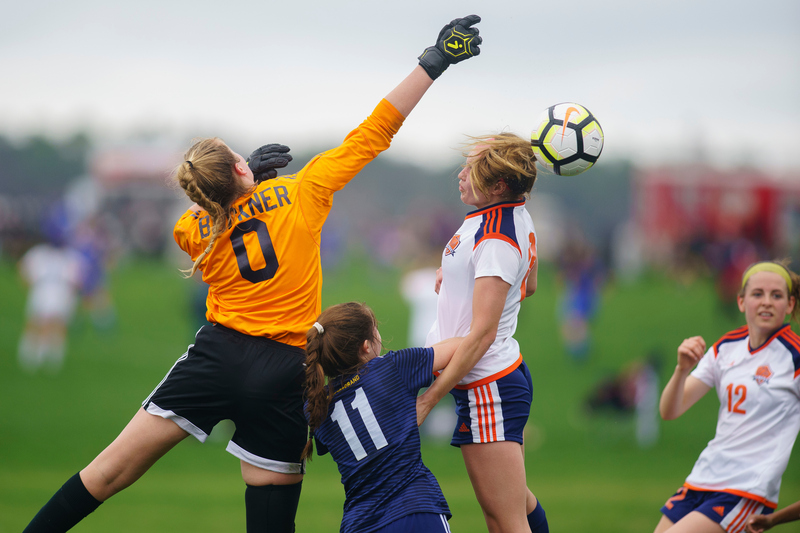 “It was exciting to have a lot of competitive teams and some regional powers, but not face the local teams we normally play. 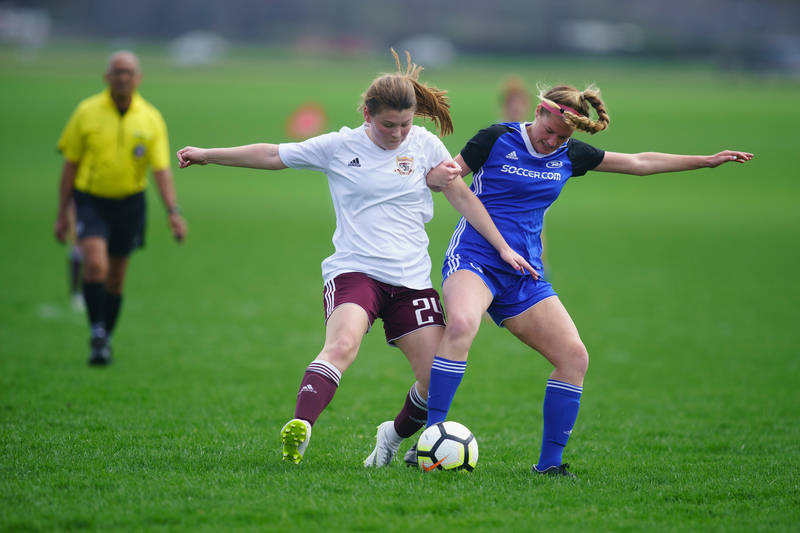 For the college coaches, meanwhile, the showcase provided an opportunity to see multiple teams and players at once in a competitive setting. 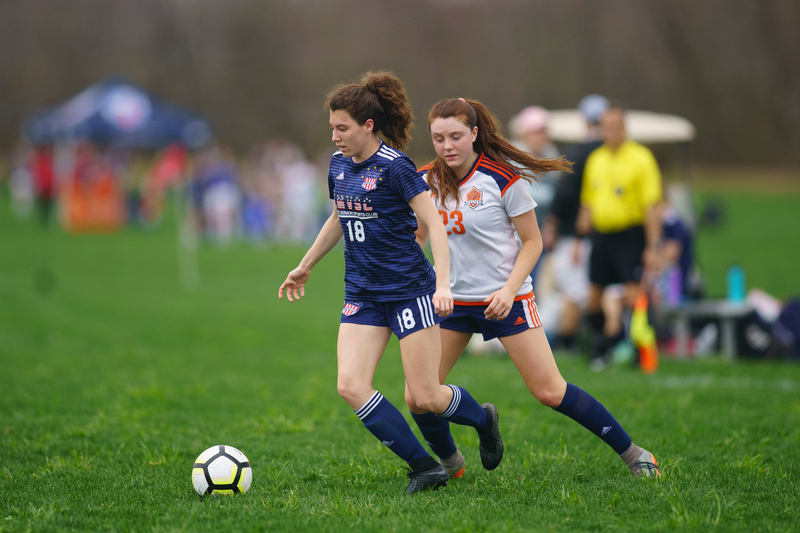 Despite heavy rain on Friday night that delayed the start on Saturday and saw some game times reduced to 60 minutes, all 330 scheduled matches were completed, with an overall goal differential of 1.64. 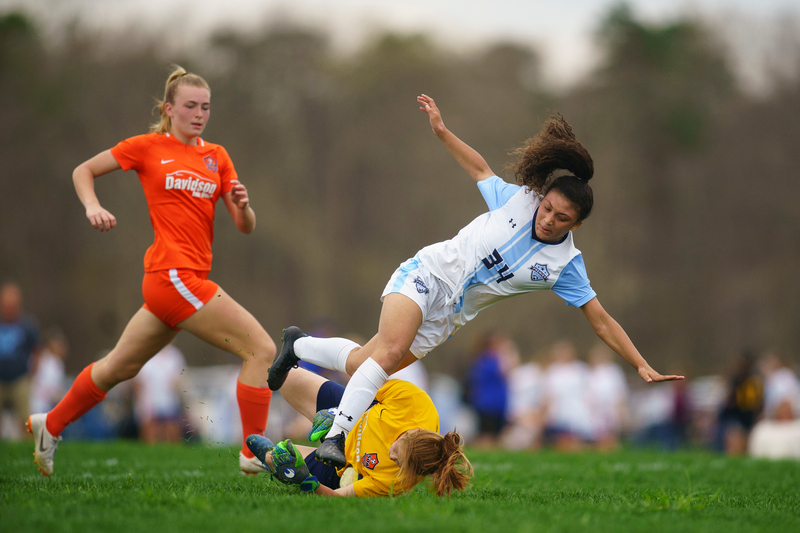 The teams that finished with the best record in their bracket after three games were deemed bracket winners.